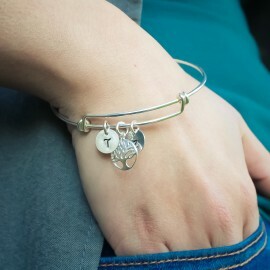 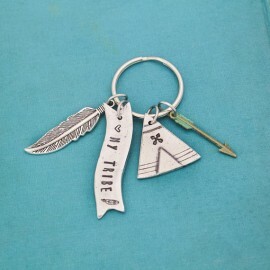 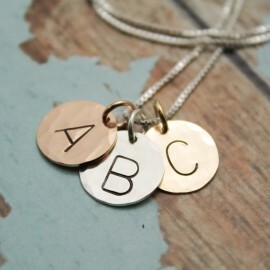 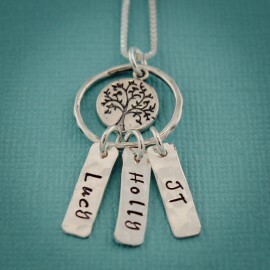 A sterling silver washer is hammered and hand stamped with the names of your loved ones in a lovely script font. 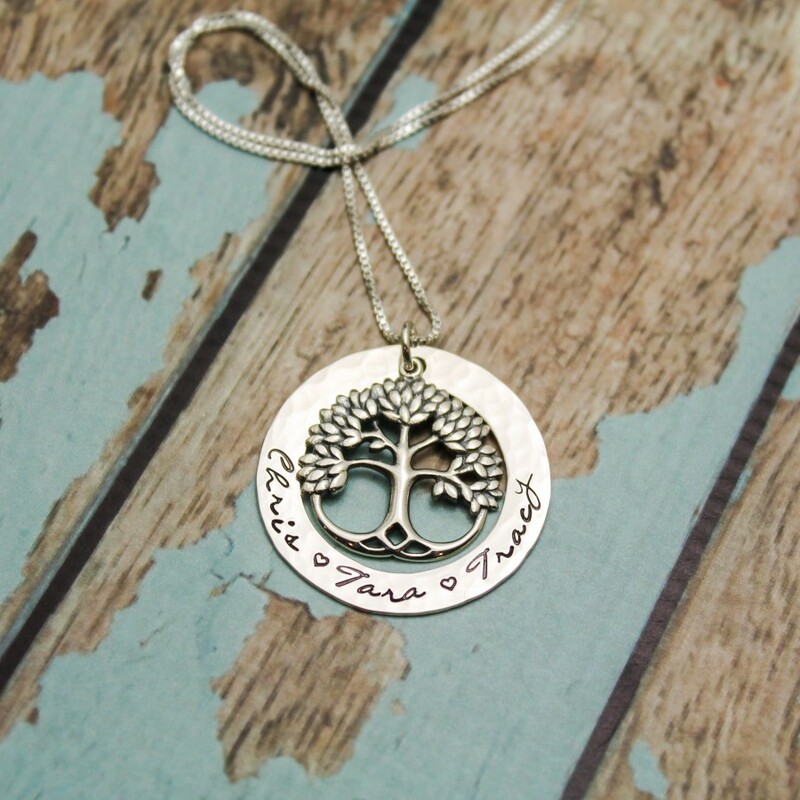 A beautiful leafy tree of life pendant hangs from the center of the washer. 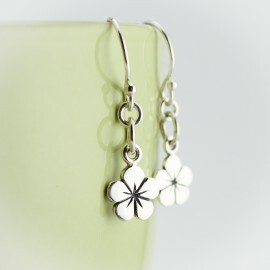 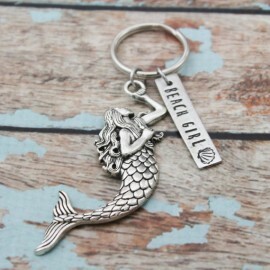 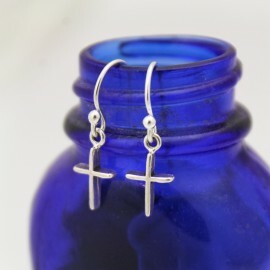 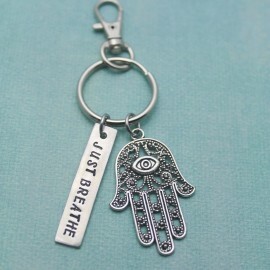 On a sterling silver chain in the length and style of your choice. 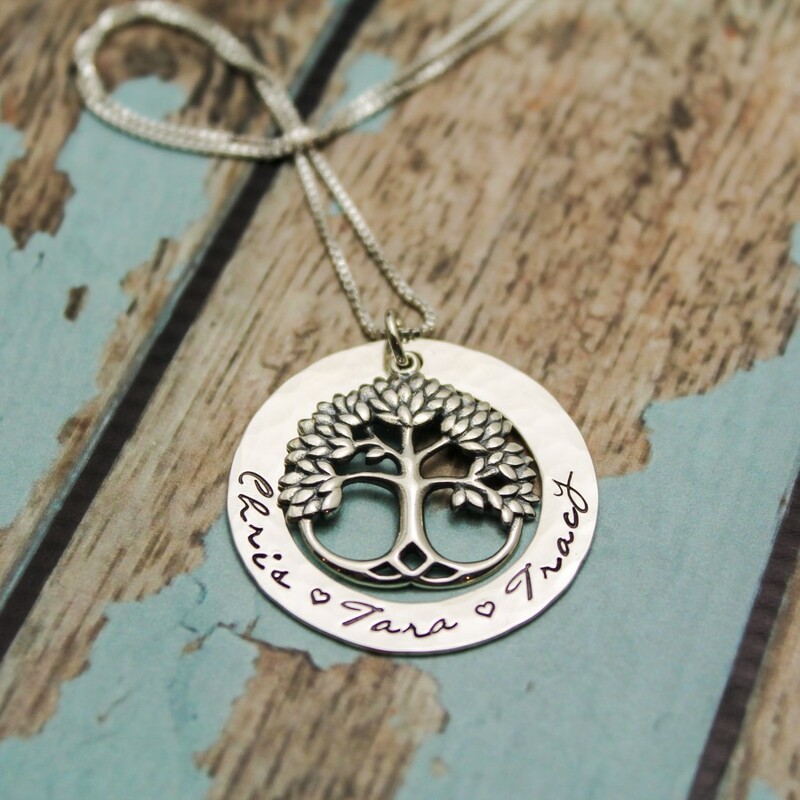 Trees provide us with air to breathe and food to eat. Trees can also represent family with their deep roots, strong trunks, and growing branches. 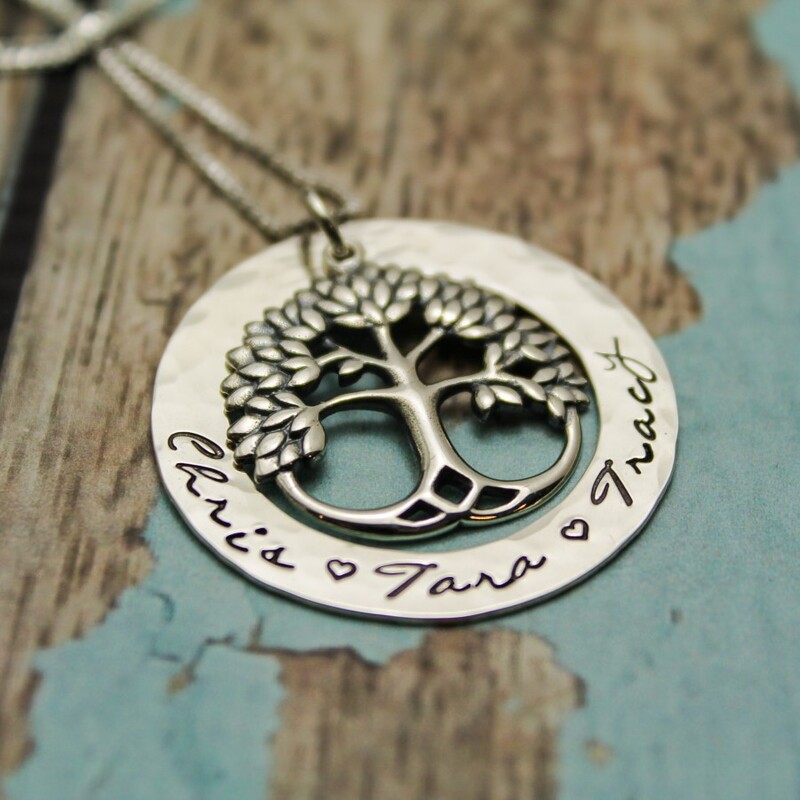 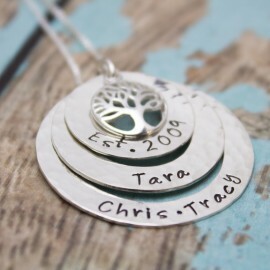 Because a tree embodies many symbolic qualities, they make wonderful gifts for birthdays, weddings, and baby showers. 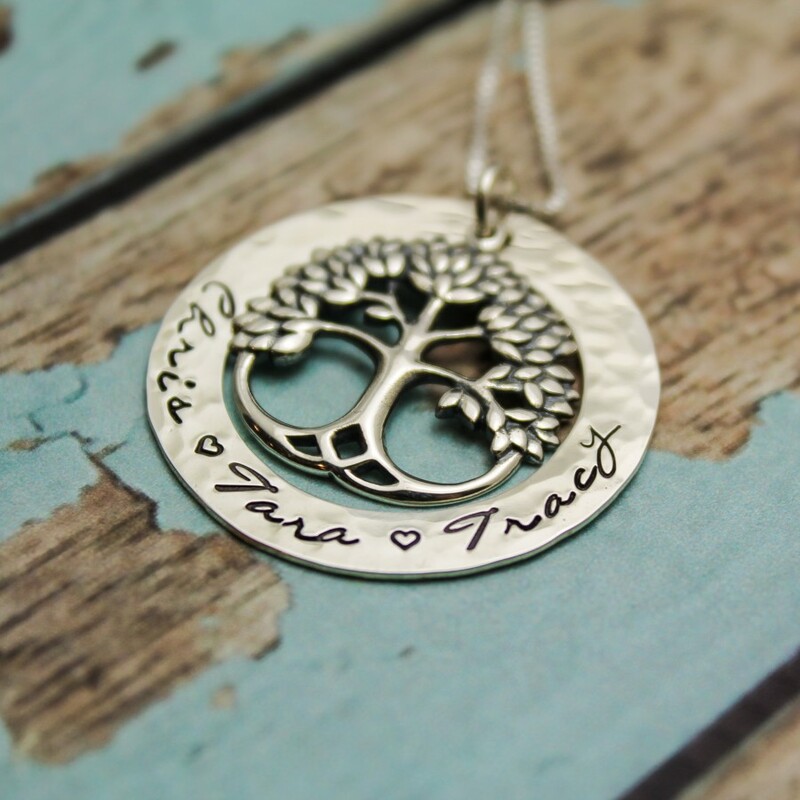 A perfect gift for yourself or someone you love! 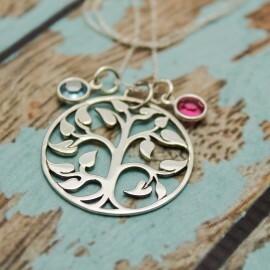 Tree of Life charm made from sterling silver. 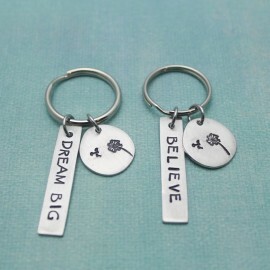 Washer is 1-1/4 inch in size. 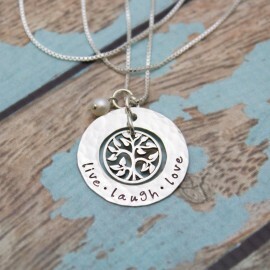 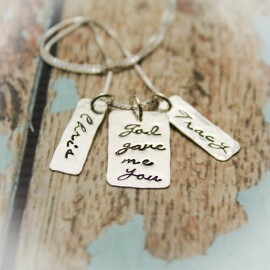 This necklace comes with your choice of sterling silver chain. 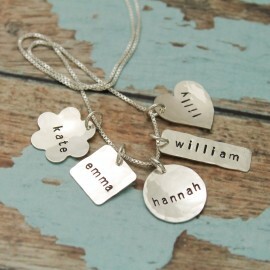 Font used is a hand written script in upper and lower case with a max of 30 characters/spaces. 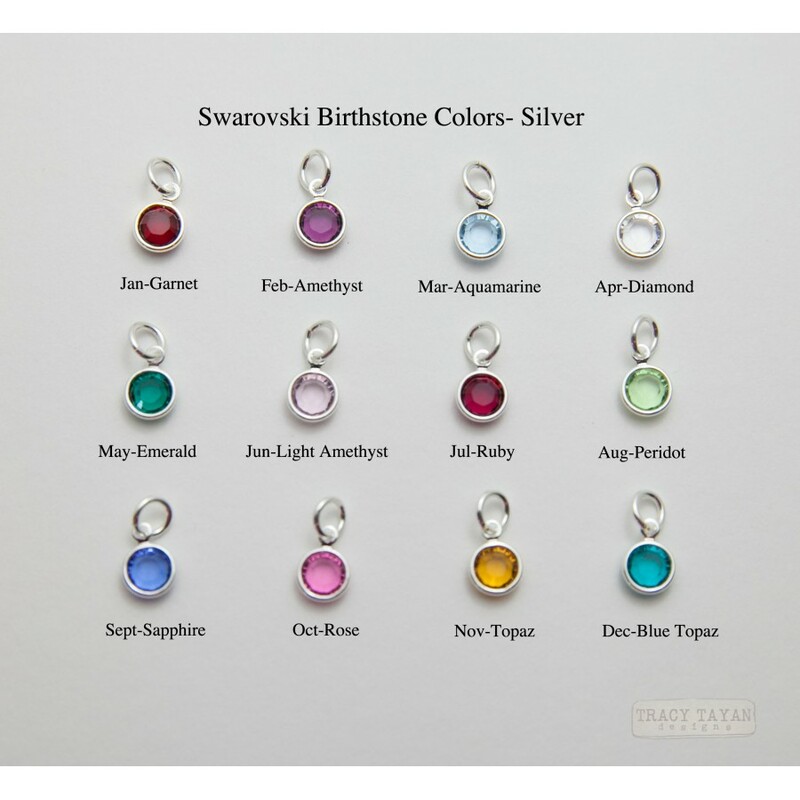 Add birthstones to represent each of your loved ones.